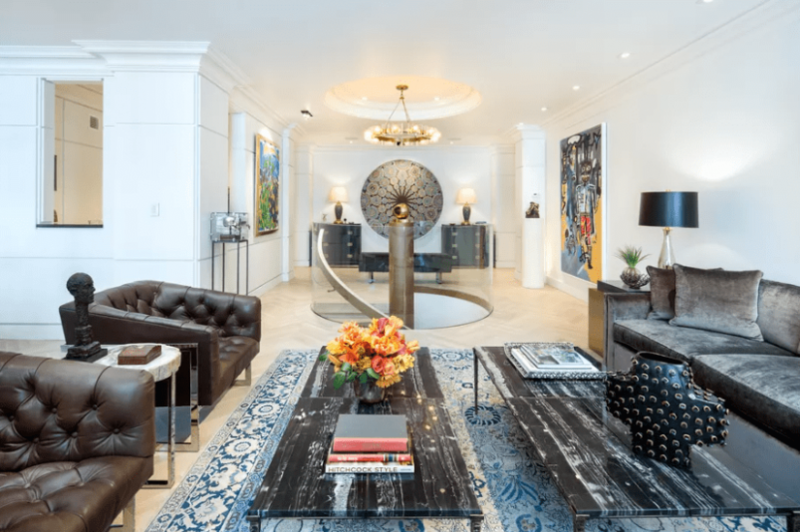 Legendary music mogul Clive Daivs is no stranger to pricey Park Avenue real estate, as he owns four apartments in the luxurious Ritz Tower. A few months ago, he placed one of those homes on the market for $7.8 million but has since reduced the price to $6.995 million. Davis had originally purchased two apartments in the building which he ended up combining into one duplex. Inside, he added luxury features like a custom kitchen, pink travertine and pale herringbone flooring, and a custom staircase. The home was purchased by Davis for his son, who has since moved out. 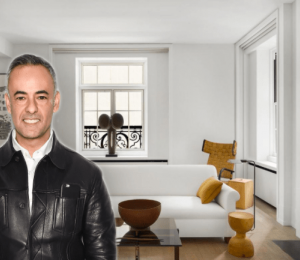 Davis spent two years renovating the duplex with help from interior designer Greg Schriefer, who also happens to live in the building. Davis, however, has no plans on the leaving the Park Avenue building anytime soon and has been living there for the last 30 years.